"The Magic Buta 2019" discover the Miracle Night at "Buta Palace" in Buta Palace buy tickets online. Delivery of tickets for the event "The Magic Buta 2019" discover the Miracle Night at "Buta Palace". 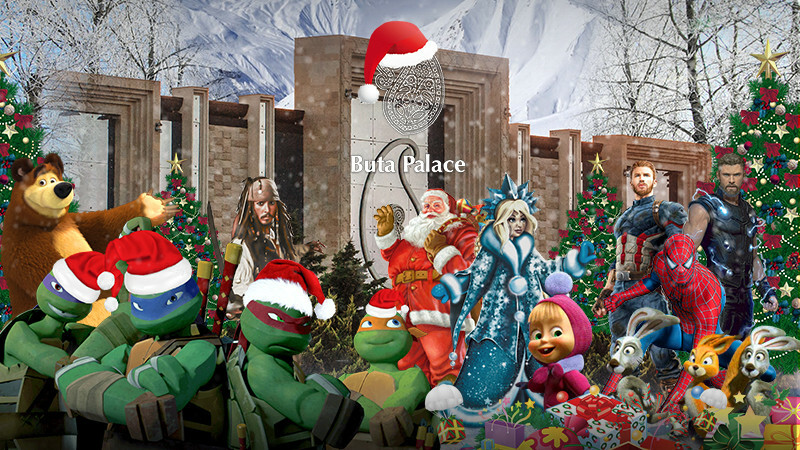 "The Magic Buta 2019" discover the Miracle Night at "Buta Palace"
New Year is coming! We are so glad to announce New Year party for your children! There will be a lot of interesting and different contests, many surprises and much of happiness! Kids' favourite heroes (Jack Sparrow, Captain America, Princess Sofia, Ninja the Turtle Leonardo, etc.) will make that party brighter! That day will stuck in your child's memories! Don't miss it on 2-6 January!